Once you taste these colorful veggie chips, the fact that they’re a healthy alternative to many of the unhealthy snack options may be secondary in your mind. All you’ll be thinking about is how incredibly flavorful they are. They’re a unique form of vegetables that kids and adults can enjoy whenever they want a crunchy snack. 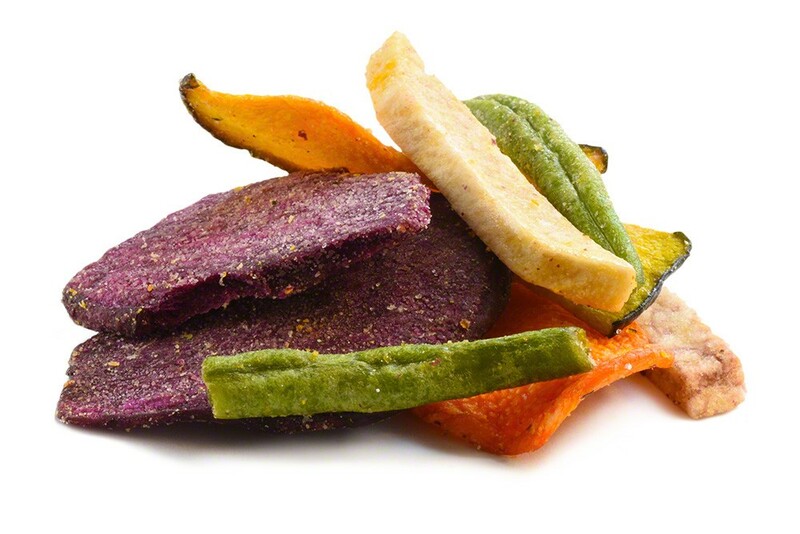 Sweet Potato, Squash, Taro, Carrot, Green Bean, Purple Sweet Potato, Non-Hydrogenated Canola Oil, Dextrin, Sea Salt. A very colorful bowl to add to a snack table! Not very salty, but very, very crunchy. I, actually, think “healthy” with every bite. Veggie chips are fantastic! Even my 3 year old grandson loves them! Very fresh and crunchy! Crunchy and delicious! Definitely the best real veggie chips I have tried. Ordered more from NutStop to have in stock! Very nice and crunchy texture – not hard. My favorite ones are the purple sweet potato! Great fast delivery service! Good price! Mailing charge a little pricy…but love the product. I purchase 11 lb bags. Delicious and satisfying. 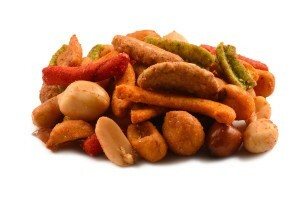 Quality ingredients create wonderful flavor and crunch with reasonable calories and low sodium. Thank you for this product! I feel good giving it to my 6 year old twin grandchildren who also love these veggies! Fresh and crunchy! Very good taste. My grand kids love them as snack in lieu of regular potato chips. I love them too! surprisingly good, I always get 2nds. Veggie Chips are a great snack item. I’ve been very satisfied with my orders from NutStop. Veggie chips were really fresh and crispy. Good service. Keep it up…. Regarding order # 9814, we found these Veggie Chips (SKU # 10300B) very enjoyable over all. The packaging was great, this product was fresh and the taste of this product is good. This was our 2nd time ordering from NutStop.com and we are indeed satisfied. Earn up to 41 points.